To check your charge level, press the Power button (located between the Volume buttons on the right side of the watch). 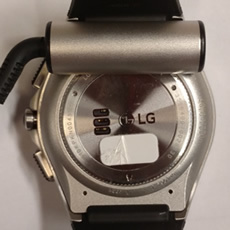 Line up the contacts on the charger with the contacts on the back of the watch. 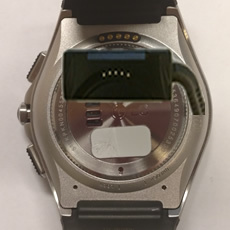 Place the charger on the watch, making sure to keep the contacts aligned. Keep the charger attached to the watch until fully charged.